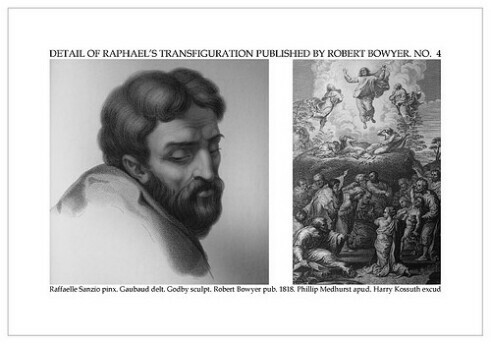 An illustration from “An analysis of the picture of the transfiguration of Raffaello Sanzio d’Urbino translated into French from the Spanish of Sig. Benito Pardo di Figueroa, by S. C. Croze-Magnan . . . and now translated into English . . . Illustrated by seventeen heads, traced from the picture, and finished of the same size, by Mons. J. Gaubaud.” London : Printed by Bensley and Son, for Robert Bowyer, 1817. (Translated into English from the French editiion of 1804 by Thomas Hartwell Horne.) Gaubaud was artist in residence to the Prince of Orange. 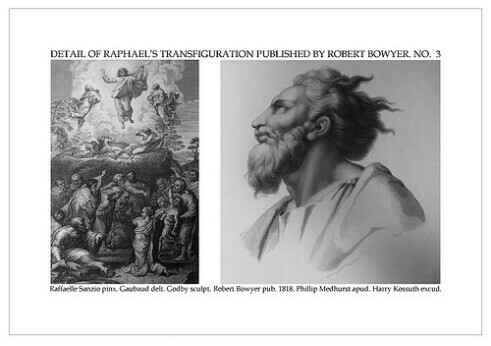 As the title indicates, he traced the images in their original size from Raphael’s painting. 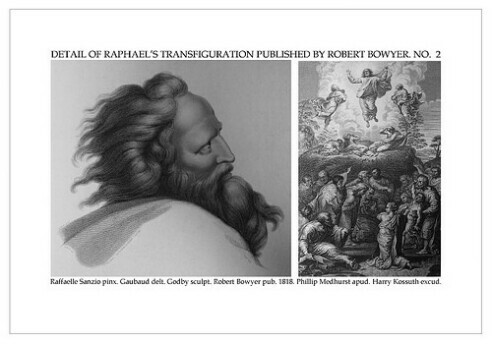 He then had them engraved in copper plates in London by James Godby, using the elaborate mezzotint technique. 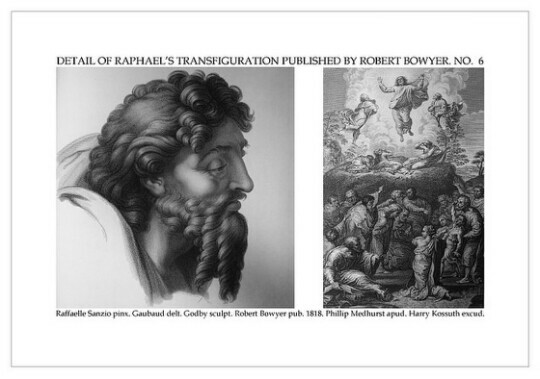 One of the finest examples of the craft, the series attracted the attention of Bible-illustration conoisseur Robert Bowyer. 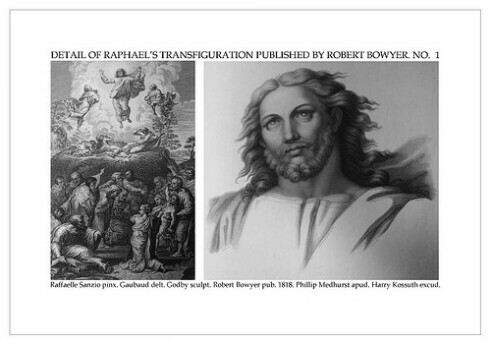 These photographs have been taken from his collection known as “The Bowyer Bible” now in Bolton Museum and Archives. 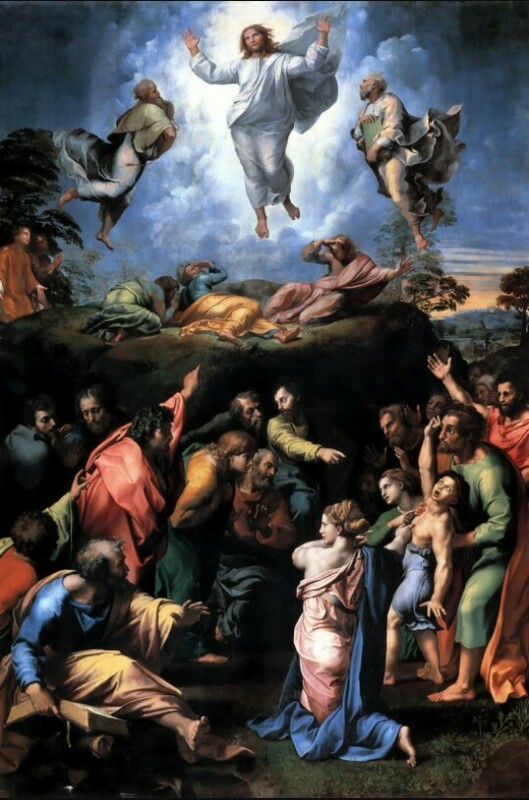 The “Transfiguration” was Raphael’s last painting, left unfinished upon his premature death in 1520, and is believed to have been completed by his pupil, Giulio Romano. 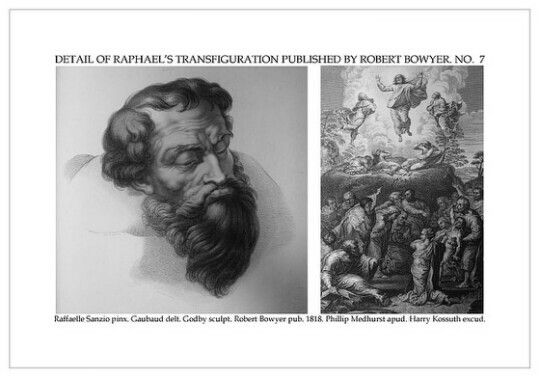 “Raphael did not paint the standard interpretation of the story, as he combines it with the story of The Healing of the Lunatic Boy . . . 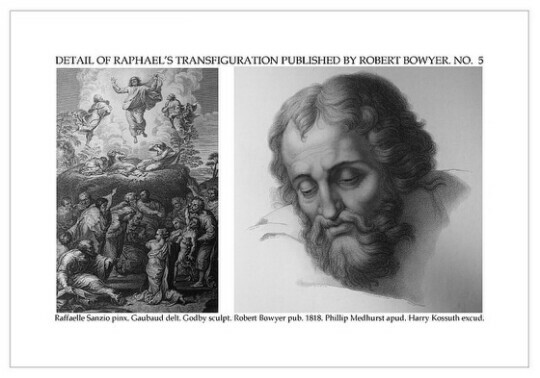 In the Gospels the possessed boy was brought to the apostles to be freed of his demonic possession. However the twelve apostles, ‘small and impotent,’ were unable to cure the sick child until Christ arrived. The Transfigured Christ, to whom one of the apostles points, is the only help; only he can heal the pains of this life” (Robin Urton). 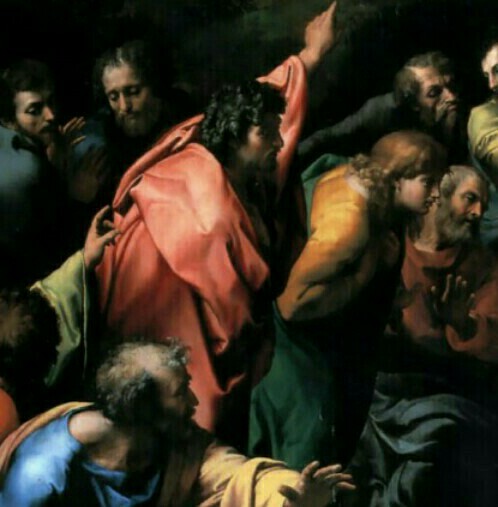 The picture is now housed in the Pinacoteca Vaticana of the Vatican Museum.